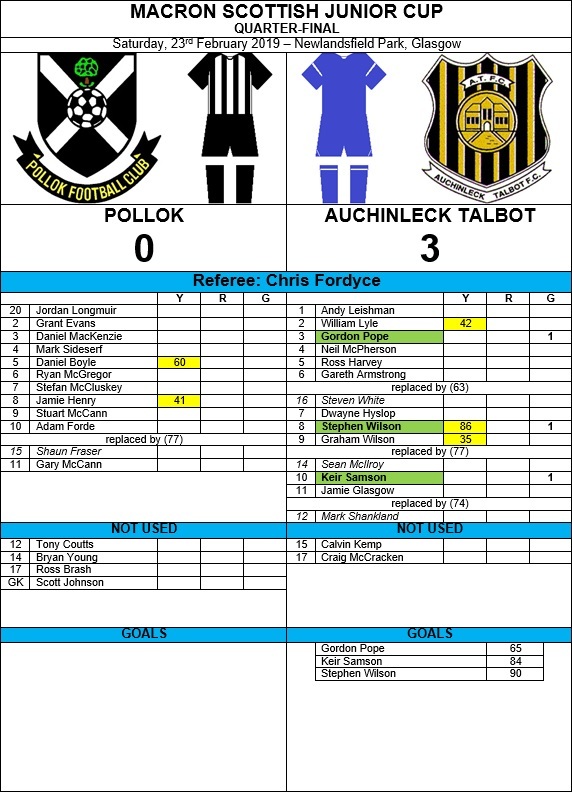 A late 3rd for Talbot from Stephen Wilson – lobbing the ball from his own half over the stranded Longmuir and it’s all over. Full time 0-3. Disappointment for Lok but good luck to Bot in the semis.